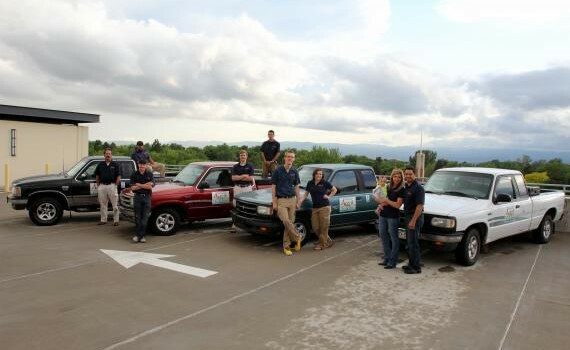 AcEco Extermination is a locally owned Colorado company established in 2011. We service the Denver Metro, Colorado Springs, Boulder, and Ft. Collins areas. Very nice company. From the moment I called in the lady I spoke with listened to me complain about my problem. The guy who came out solved my problem. I would really recommend them to others. Got the job done, cheerful and helpful! We were very pleased with the work Dave did. He was very experienced and knowledgeable, and did an exceptionally thorough job inside and out. Would recommend without reservation! The serviceman Isaac was the only one of 4 contractors who contacted me. He proved to be polite, up to date in his approach to a problem, and totally capable. I got the best. I would totally recommend this company. Very professional! Took the time to explain everything in great detail. Easy to work with and the spray has worked its magic. I've already had to clean up several dead spiders. We used aceco for a mouse problem. We found them to be extremely helpful, professional and thorough. We were welcome to call and ask questions and learned a great deal. They thoroughly cleaned and trapped the mice and went above and beyond in helping to eliminate the smell from our extensive infestation. The smell is so much better than it was and if any odor remains, we know aceco couldn't have done anything more. We were very satisfied customers! My husband and I are very pleased with the job that Dave Rakestraw did with respect to removing the resident pigeons we seem to have hosted on our roof, and barring them further access. Dave is a class act- very attuned to details, aesthetics and meeting customer satisfaction. His professional attitude and work have given us a wonderful impression of your company. Great company! I had a bed bug problem that I came back from a vacation with, and wanted to get it taken care of quickly and as painless as possible. My appt. was made same day (awesome) and worked around the time I was available (even better) which was extremely helpful. It was even better that I didn't have to remove myself and my kids from the house for hours, because of chemicals that were used, because the product they use is not harmful to my kids and safe. The technician was polite and friendly, and did a great job!! I couldn't of been happier with the service and care I received. Very thorough customer service and very professional tech.